What are the different phases of startups funding? Learn when to land investment for your venture! As a budding entrepreneur dreaming out to acquaint your startup to life it becomes inevitable to understand the importance of Capital funding. Capital is required at various stages of startups to keep up the pace going and leading your venture to great heights. Understanding the various stages of funding and the various options available will boost up your confidence to bring the funds on board and sign on with the investors. The good news is that the stars are aligning in the favor of startup funding as the capital investments into early and mid-stage has picked up the pace. The first half of 2018 has witnessed a thrust to the capital flow with investments worth $3.6 billion made across 411 deals in startups. These numbers illustrate the cabaret of increasing startups investment and thus, open fresh avenues for the pristine businesses. Therefore, it becomes important to learn about the funding stages and where each option fits into your particular journey. Let’s learn about the various investment stages and the options available at each milepost. This is the initial phase for you as well as for your product. You may have an idea and some prototypes developed for it but maybe it is too early to turn out for the investors. So with bootstrapping, you use your available resources and take the help of your “Family and Friends” to support what you can do for your startup. It is a great learning stage for entrepreneurs because they learn how to work with what they have got while functioning on their radiant idea. It is the time to define the value proposition and validating market for your product. This stage includes developing your product with a decent prototype or MVP (Minimum Viable Product) and starts searching for the seed investors. This could include raising funds through crowdfunding or other options such as the loan, credit cards advance or you can begin with accelerators. Crowdfunding is a good way to seek out support from a large number of people through the internet which includes raising funds from angel investors, family and friends and your social media followers. At this stage, you need to show the people what’s there in it for them in order to raise money. And also make sure that you revert back them with rewards or perks for the donations you have received from them. Accelerators invest in your startup as well as sell your solution to potential investors. Seed funding includes speaking to angel investors which would provide capital in exchange for ownership of equity. 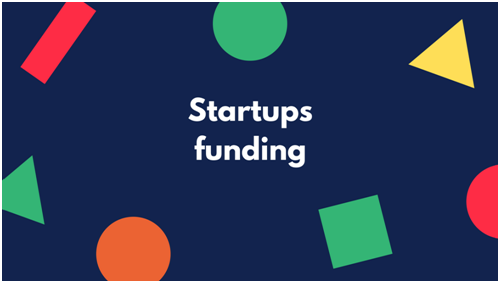 The funds raised during seed round can be a boon for your product to take it to the next stage that could be building a team, design, branding and bringing it out to the market. In prior stages, you have focused on developing your product and at the execution of your idea. At this point, you will have started gaining market traction and building a customer base, but fails to translate it into repeated revenues. Thus, it becomes important to raise your sale and marketing and and discover new channels in order to have a grip on your ideal customers. Hence comes in the picture, the Venture Capitalists who invest in early stages and emerging growth companies. The funds so raised will help you to hone up the product and user base. Reaching this stage, you will have a business doing pretty well with revenues, a strong team, your product has flourished in the market and the customers are buying it. You might be thinking about adding new infrastructure, bring in new technology or what else to scale up your business to great mounts. Reaching this series, Venture capital and Venture debts becomes your limited resources substantial enough to gear up the scale of the product. Remember one thing that the investors you would be pitching to are the market veterans, so prepare well to pitch in front of these big sharks. There is no limit to the number of rounds startups can raise and round C funding is an additional series of funding raised to fuel large expansions. Reaching this stage, the entrepreneurs have become big players and plans to raise funds geared towards new expansions of markets, new acquisitions, and big infusions. It can also help in preparing for an IPO which is known as ‘Bridge Financing’. By this point, you will be raising millions of dollars for your company. The last stage of funding! Entrepreneurs go for years before making it to this point. It is not the final goal for startups and it is evident from the references that companies stay private for long. But, having raised money from previous stages, going to the public is a good option for extension. So at what stage are you in your startup journey? Make sure you choose well from the various options available and help your venture shoot up! Previous Post How to pitch your entrepreneurial idea, so that investors can’t take their eyes off!! Next Post What is Crowdfunding and how does it work?